test completion, the interpretation process was paper-based because we could not find software that would manage the process efficiently. The laboratories at the eight regional hospitals had a workflow that ended in a paper report and an inefficient interpretation process. This process resulted in the final, signed paper report being scanned into the electronic medical record, sometimes with deferred turnaround times. When we saw the Epiphany PFT product it appeared that it represented a means to incorporate a standardized process that would result in consistent test results across the health system. We began a workflow analysis and, with the help of the Respiratory Therapy Managers and Pulmonary Function Technologists at the main campus and each regional hospital, we embarked on a process that standardized the pulmonary function order lists, appointment names, procedures, reports and interpretation of test results. When this was completed, we had consistency in the pulmonary function testing process across the health system. 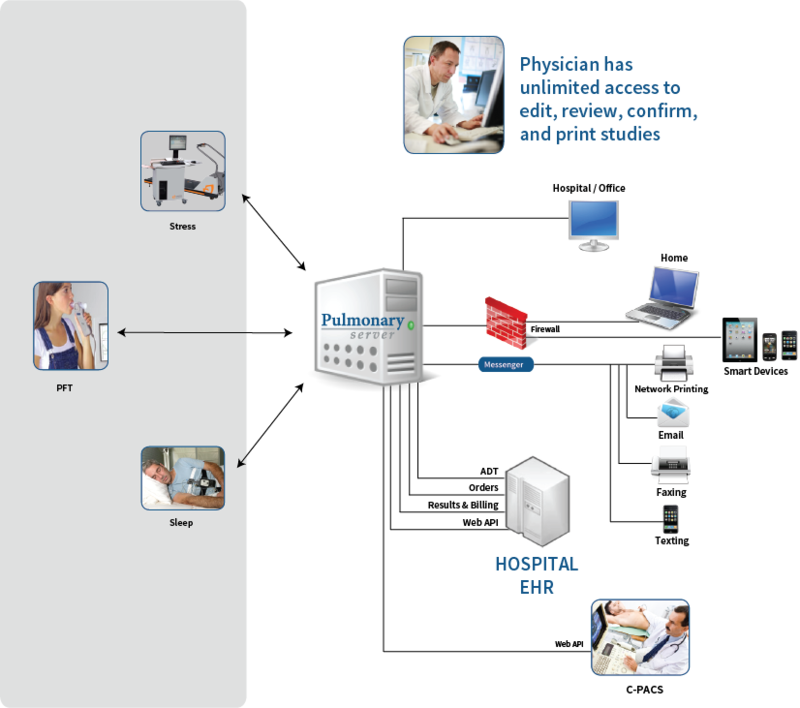 Epiphany provided the tool that allowed interpreting physicians to have easy access to the tests (access from any workstation within the health system) and an efficient means of applying a standardized interpretation and electronic signature, completely eliminating the paper process. We were successful in meeting our goal of a 24 hour turnaround time for getting interpreted tests into the patient’s electronic medical record. Cleveland Clinic now has four different PFT vendors integrated with Epiphany and the EMR, so they are no longer tied to any specific vendor. This flexibility gives them the freedom to select a vendor for future purchases or replacements that best meets the needs of the intended laboratory site. Pulmonary Server helped us standardize practices across the health system. Epiphany was able to tailor the software to meet the specific needs of our hospitals. Located in Cleveland, Ohio, Cleveland Clinic is a nonprofit, multispecialty academic medical center that integrates clinical and hospital care with research and education. 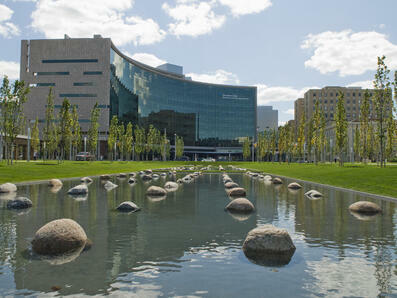 U.S. News and World Report ranked Cleveland Clinic as #2 in the Nation for Best Hospital, #1 in Cardiology & Heart Surgery, and #3 in the Nation for Pulmonary Services. Today, with more than 1,400 beds on Cleveland Clinic’s main campus and 4,450 beds system-wide, Cleveland Clinic is one of the largest and most respected hospitals in the country.